Vinbros and Co., is the largest and oldest liquor manufacturing facility situated in the coastal region of Pondicherry. Vinbros was established in the year 1942 during the French regime to cater to the diplomatic & royal houses spread across the country during post-independence era with the French expertise in distilling, blending and manufacturing of liquor products. The age-old premium liquor manufacturing technology of Vinbros has been kept secretly and passed on to the next generation by the closely held family master blenders. 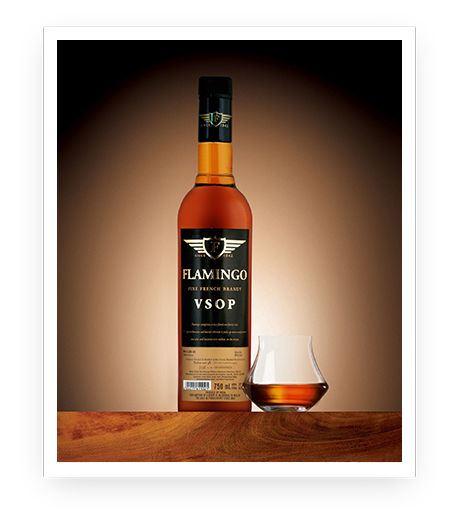 The current master blenders are the fourth generation in succession who are time and again assuring the exquisite art of producing premium quality liquors. Vinbros commenced its bottling operations with a production capacity of 600 cartons per day with two bottling lines at its inception. Today, we have diversified into a state-of-art production facility capable of producing 9,500 cartons per day with 7 automatic bottling lines and 2 specialized wine filling and corking machines. The high-tech manufacturing facility has been equipped with bonded warehouse with a capacity to store 40, 000 cartons at any given time. The facility situated at R.S. No. 250, Thirukanchi Road, Odiampet Village, Villianur Commune, Pondicherry – 605 110 has been certified for ISO 9001 for “Design, Manufacture & Supply of Premium Quality Liquors & Wines” by M/s. TUV Management Services GmbH, Germany. Apart from ISO certifications, we also have been licensed with FSSAI. In bringing world class wine products to the Indian market and offering everybody a chance to experience the suavity of French wines, Vinbros and co., have partnered with M/s. P&P Import Export, Gaillac, France by bringing in their “Chateau Bouscaillous” Red & White Wines for importing, bottling & distribution in the Asian market. The wine culture which has had significant growth over the last few years has encouraged and motivated us further to bring in an array of wines, thereby enlarging our product portfolio. The highly sophisticated machineries of Vinbros and co. have fetched remarkable contractual agreement with some of the leading multinational companies for importing, bottling and distribution of their flagship brands in the Indian market. The long lasting search of Vinbros and Co., to produce an Indian whisky with world class character has been answered by R&D advices rendered by Scottish experts in developing the 'Vinbros Royal Monarchy Premium Whisky' and the 'Warehouse Premium Grain Whisky'; both of which have not only captured a robust share in the domestic market but also in the European market. 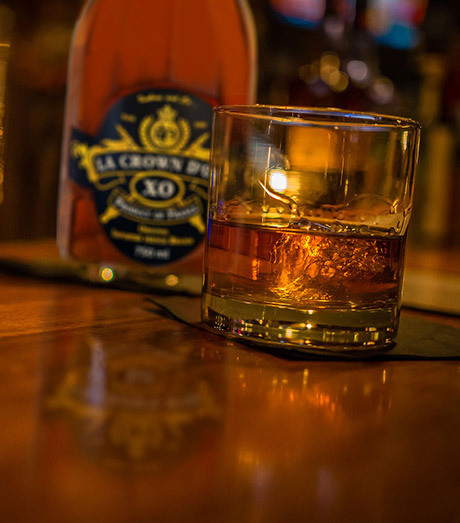 Our whiskeys have won the hearts of connoisseurs and fetches us repeated export orders. Along with these brands, another product, 'Vinbros 7 PM Onwards Rare Premium Grain Whisky' is being exported regularly to the European market. Furthermore, we also have the privilege of now branching out and launching our products into the African & Middle-Eastern market, shortly. The liquors & wines manufactured in Vinbros and Co., have been distributed across the length and breadth of the nation, either through direct marketing, by appointing exclusive distributors in the locations, or through corporations undertaken by the respective state governments. We have the privilege of having supplied our 'Globus Fortified Port Wine' to the Canteen Stores Department situated in various states, by virtue of the product's overall success wherever it was launched. Almost all of our premium brands are available in most of the Border Security Force and the Central Reserve Police Force depots in most parts of India. We have also secured the number one position in the state of Andhra Pradesh for the past three consecutive years amongst all wine suppliers. Apart from producing our own liquor products, we have entered into manufacturing arrangements with M/s. Jagatjit Industries Ltd. and also Southern Agrifurane Industries (P) Limited, in manufacturing some of their premium products for their Pondicherry as well as Andaman & Nicobar operations, which not only reassures the production capabilities of Vinbros and Co., but at the same time brings to light the state-of-art production facilities installed in manufacturing premium quality liquors. The distillery is in possession of statutory licenses issued by the State Excise department and the C.O.B license issued by the Government of India (one of the very few to hold this in the country). 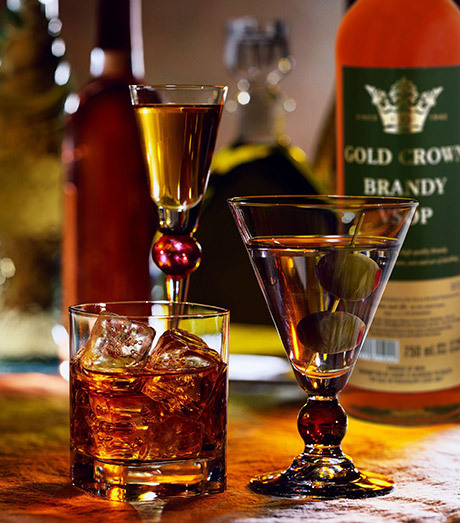 Our objective is to maximize the existing potential in liquor-making. The aim is therefore, to produce and offer various liquors, with an improved style and well defined personality, without losing their original character. Vinbros' role as the leader in the Pondicherry liquor export market does not keep us away from being actively engaged in other activities. In order to ensure the synergies necessary to the support of our main business, we have expanded and broadened our basic operations. The company now also imports raw materials, packaging and various other equipments for the liquor industry. Alongside the obvious goal to consolidate and further develop our market position, we are determined to achieve our potential beyond the liquor sector. With the establishment of a well co-ordinated, specifically-targeted and consumer-oriented programme, we prove ourselves adaptable to ongoing changes in the taste and habits of Indian consumers. By taking advantage of the huge potential of the growing Indian market, we strive to become a leading importer and national distributor of alcoholic and non-alcoholic beverages. We have two state of the art retail stores in Pondicherry, where we have on offer, some of the leading brands in the world. On the domestic front, we are trying to offer a wide range of products, which are not only of good value, but also tangible examples of successful diversification efforts. Our goal is to satisfy customer demands in relation to the price and quality of the products offered. The expertise and services which we supply, and the results thereof, recommend us as your most reliable business partner. © 2018 Vinbros and Co. All Rights Reserved.